A high-stakes second summit to strike a disarmament deal with Kim broke up in disarray in Vietnam Thursday, with Trump saying: "Sometimes you have to walk and this was just one of those times." After weeks of building expectations and with a signing ceremony ready to go, President Donald Trump abruptly ended his second-ever meeting with North Korean leader Kim Jong Un and declared a deadlock. Trump's enthusiastic tweet came hours before a second summit in the Vietnamese capital Hanoi to build on their historic first meeting in Singapore last June. People of South Asia are looking towards the US administration to play a similar role in establishing lasting peace in the region, he said. It was not the first time Trump has publicly doubted his national security experts. But the vehemence of his response showed the depth of that split. Details about the administration's Missile Defence Review the first compiled since 2010 are expected to be released during President Donald Trump's visit to the Pentagon with top members of his administration. It is the beginning of a massive year for Sanchez and Qatar, who will also play in the Copa America later in 2019. He became temporary acting ambassador in October 2017, after Italy expelled the then ambassador Mun Jong Nam, in protest at a nuclear test, in violation of UN resolutions. At a summit with US President Donald Trump in Singapore in June the two signed a vaguely worded pledge on denuclearisation of the Korean peninsula. 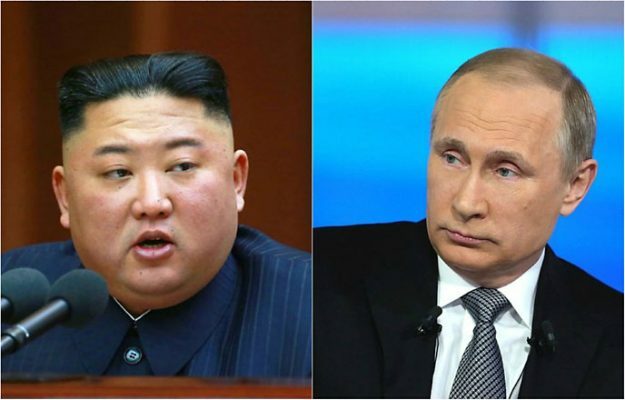 Kim, however, warned he might have to seek a "new path" if the US maintains sanctions and demands unilateral concessions, The Washington Post reported. The Ryugyong was supposed to be the world's tallest hotel, but the building fell by the wayside as North Korea experienced a severe economic crash and famines in the 1990s. North Korean women caught fleeing the country to China or who are repatriated from its neighbour face severe punishment including torture, imprisonment and sexual abuse. The commentary was directed at supporters of the U.S. policy to maintain maximum pressure and sanctions on North Korea until it has made clear and significant moves to denuclearize. he Japanese leader also defended the global "free trade system" and hoped that the US and Japan will maintain the kind of relationship they have had.